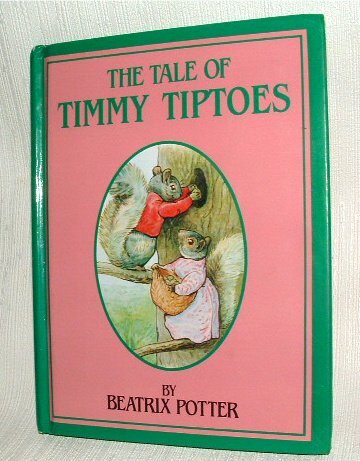 The delightful story of Timmy Tiptoes the squirrel, by Beatrix Potter. Precious little book with beautiful color illustrations on every other page. > Publisher: Ottenheimer Publishers, Inc. CONDITION: Pages are clean with no writing, marks, tears or folds. Minor signs of shelf wear on binding corners.